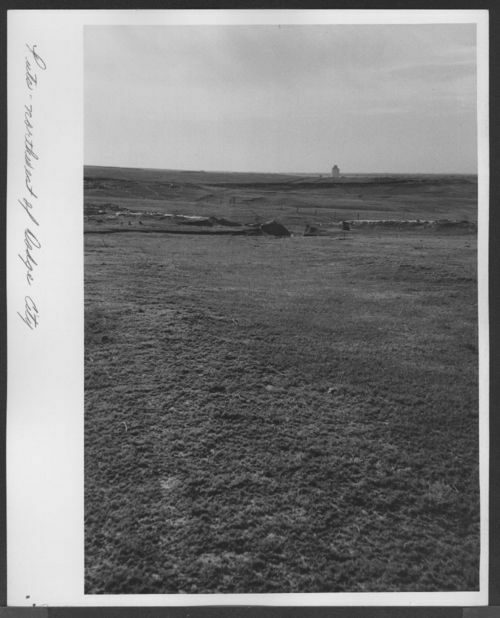 This photograph, taken in 1956 by the Kansas Industrial Development Commission, depicts some Santa Fe Trail wagon ruts located northwest of Dodge City, Kansas. The Santa Fe Trail, opened in 1821 by William Bucknell, served as a freight route and passed through Missouri, Kansas, Oklahoma, Colorado, and New Mexico. This image will grab students' attention and will work well with other sources relating to the Santa Fe Trail, such as maps and the image from Josiah Gregg's Commerce on the Prairies. There is also another photo of wagon ruts that was selected for this standard.